It is easy to dismiss hockey as a factor in the economy of the nation's seventh largest media market. But for Boston, each home game that is lost in the current National Hockey League lockout represents a substantial economic loss. The economic impact of an average Bruins home game is estimated between $850,000 and $1 million. Anytime you have 17,000-plus fans pouring into an arena, both the neighborhood and the city forfeit the revenue of any event-related purchases. While the economic impact is felt by the city, the real effects are on the small business owners that rely on hockey to bring in patrons. The largest example of this are restaurants and bars, mostly in the North End, who see a large increase in business during game-nights. Aside from the owners who are taking a financial hit, the employees also see a loss in earnings. Hotels around the area can be effected as well, as fans, media and teams will be coming into town for the game. If you are still not convinced, take a look at this. Out of 30 NHL franchises, the Bruins were one of sixteen who sold out every home game last season. 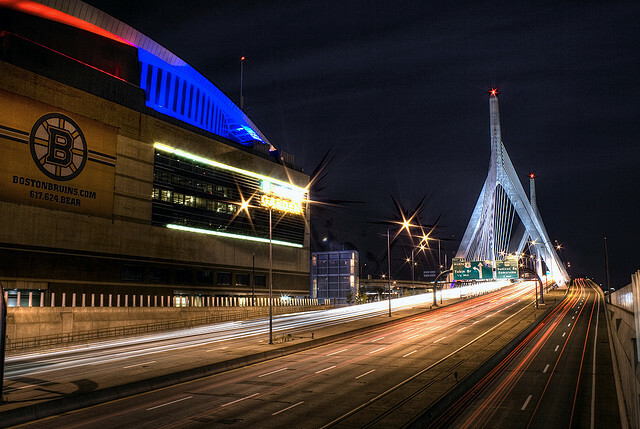 Take the 17,565 fans who entered TD Garden each night, and multiply that by 41 home games. The Bruins attracted 720,165 people to the North End during the regular season, each of whom represented a potential economic impact. Many of the 700,00-plus fans coming to TD Garden for hockey games last season used public transportation, either by subway or commuter rail to get into North Station. This is an example of a loss of revenue to the state, not to mention the loss of state sales tax revenue for any event-related purchases. Without the NHL, Boston's economy will not crumble, but the league still represents an economic boost for the city and state. From government, all the way down to small business owners and employees, the loss of the NHL will be felt by much more than just Bruins ownership. For the city and the Commonwealth of Massachusetts, it is significantly important hockey returns to TD Garden. Completely agree here, Zach. Just like last fall's NBA Lockout (thankfully we advanced to the ECF), SupahFans Streetwear and other t-shirt hawkers on Causeway street have little means to distribute our hockey designs to our top target audience- those with tickets leaving The Garden. Sigh. Thanks for your input, and excellent point. This lockout is effecting absolutely all business in and around The Garden. I wish you the best. Good write up Zach. Do you have any assumptions around the 850K to 1M estimate? Economists often cite that if people don't spend it at or around the arena, people will just spend it elsewhere (i.e. Comedy Clubs, Theater etc). I don't agree with the economists estimates, especially when you factor people are coming from out of the city limits. Thanks, and I agree because in my opinion, not having hockey as an entertainment option does not guarantee another option replaces its economic value. Like you said, people are coming from out of town, and who can say they will certainly still come from out of town for a comedy club or a theater event?